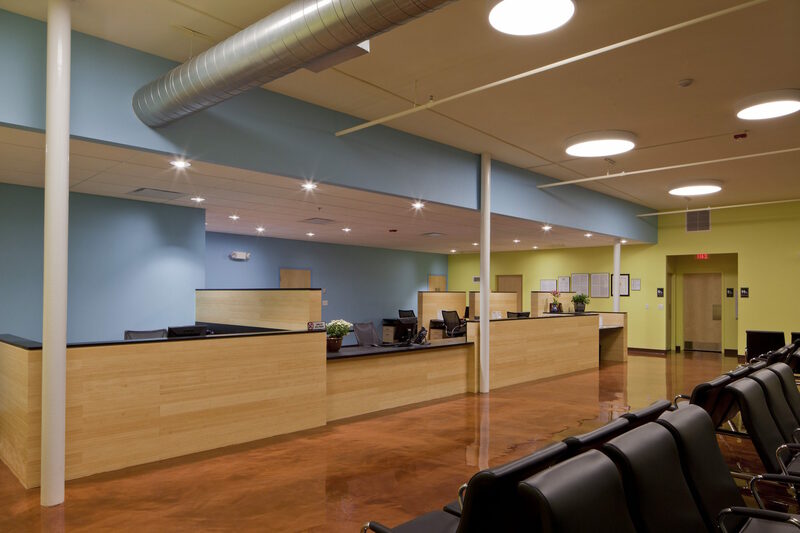 PCC's South Family Health Center is a LEED-Gold, 18,000+ square foot community health center in a converted commercial building in Berwyn, Illinois. 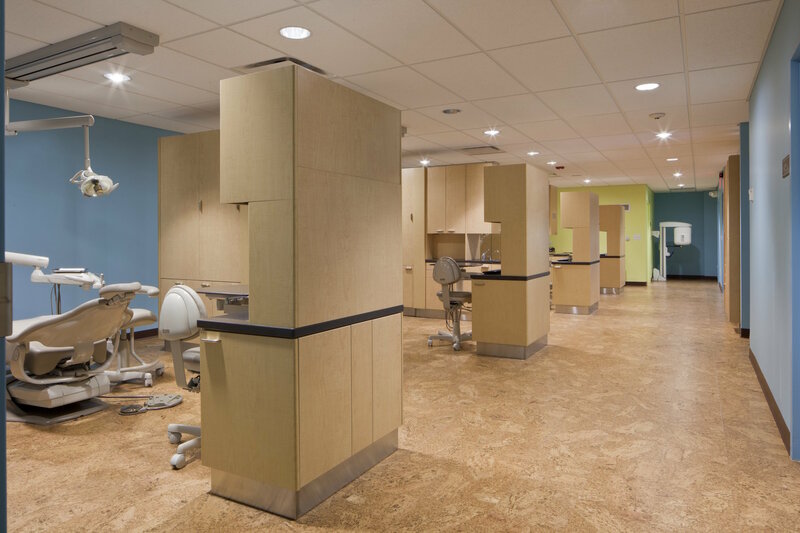 The ground floor houses a Federally Qualified Community Health Center while the 2nd floor contains community meeting rooms, dental suite, behavioral health services as well as administrative offices. 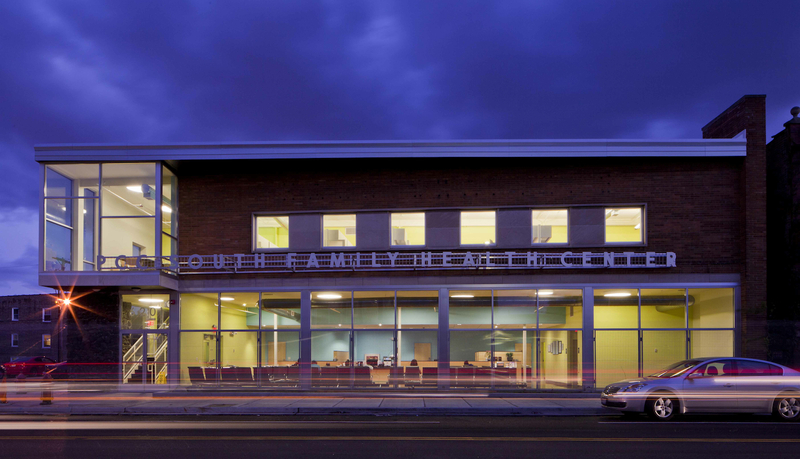 In March 2012 PCC South Family Health Center's building was listed as a noteworthy example of mid-century modern architecture. The study by the Program in Historic Preservation at the School of the Art Institute of Chicago is available on the Landmarks Illinois website. 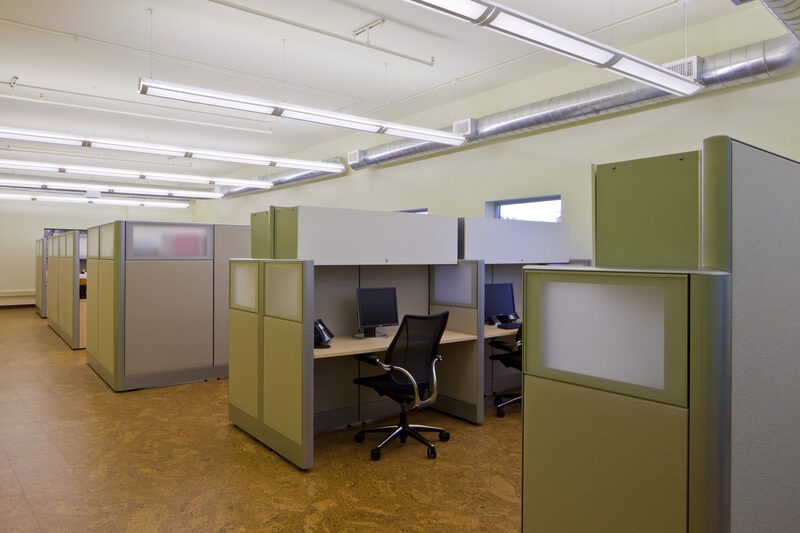 At MDT we recognized this as soon as we started working on the project and were careful to preserve the mid-century features of strong geometric forms, wide glass windows and eye-catching signage, especially the 2nd story "glass box" conference room and the lava rock corner. We added new signage for PCC in keeping with the style. 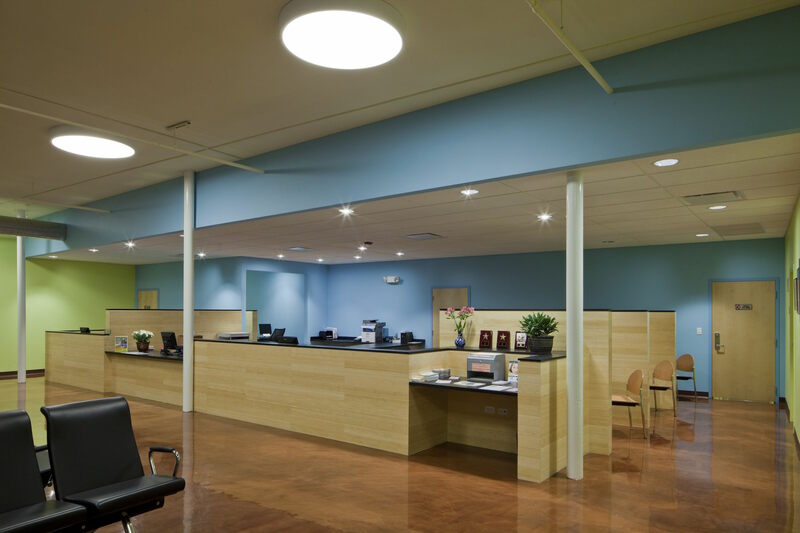 And in September PCC South Family Health Center was granted Landmark Status by the Berwyn Historical Society.